How Can I Get the Funds for a Fixer Upper? You might consider a fixer-upper in the hopes of "flipping" it. 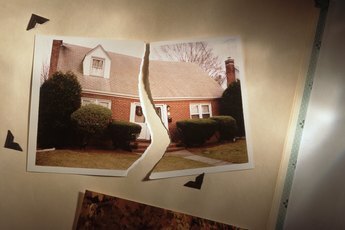 You and your partner might be attracted to a fixer-upper, in part, because of its cost relative to that of other homes in your preferred neighborhood. 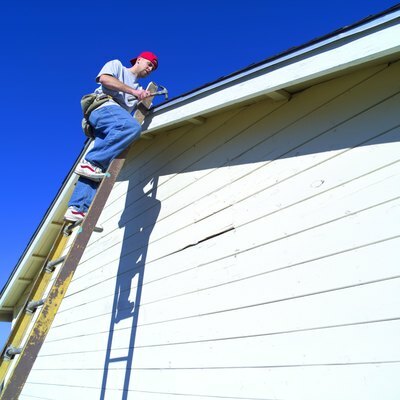 You might also consider a fixer-upper in the hopes of "flipping" it, or selling it for a profit after you've completed the necessary home repairs. Performing the required maintenance on an older home might also allow you to live in a house that's been occupied by your family for generations. 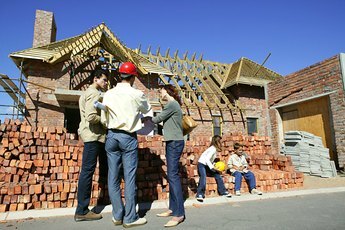 Whatever the reason for buying a home that needs lots of repairs, the cash can come from a number sources, from family members to federal agencies. It may be possible to obtain the financing for your fixer-upper not from a third-party lender but from the home's seller. If the seller assumes this financial risk, it's likely he'll offer the financing at a higher interest rate than what might be offered by a bank or other commercial lender. However, if you rely on this option, you might benefit by a quicker closing process. In turn, the seller benefits by spreading the profit earned from the home sale over several years, delaying the payment of any capital gains tax. As of 2012, tax law allows one family member to loan money to another family member and then gift part of the outstanding loan balance to the borrower over a number of years. For example, assume your parents bought a home that you later acquired from them using seller-financing. Each parent can make duplicate gifts to you and your partner of $13,000 each, for a total of $52,000 per year, which can be deducted from the mortgage balance in the year of the gift. You can buy foreclosed properties originally mortgaged through the Federal Housing Administration or Veterans Affairs through Housing and Urban Development. You may be required to pay a five to 20 percent down payment if a house offered by the FHA is not eligible for FHA insurance. However, if such a home is eligible for the insurance, you might not be required to pay a down payment. In all cases, you will be required to put down earnest money, which will range from $500 to $2,000. You might also buy a VA home through HUD with only a 2 percent down payment. 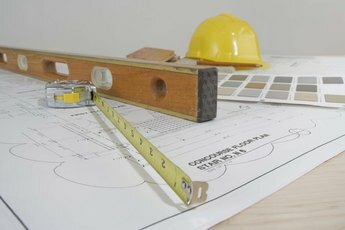 HUD also offers a Section 203(k) financing program, which you can use to fix up homes that consist of one to four units, are more than 1 year old and require major structural repairs. You can access the FHA, VA and HUD websites to determine the requirements for each of these programs. Fannie Mae and Freddie Mac, government-controlled companies, offer Homestyle loans as part of a long-term "rehab" program. Under this program, you can roll repair costs into a mortgage, putting the repairs money into an escrow account. 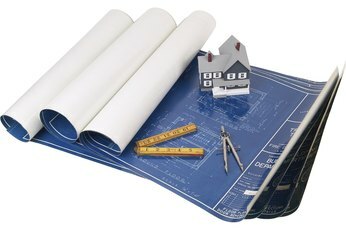 The contractor then draws money from the account as needed to perform the home repairs. The assumption of an existing low-interest loan can be a fairly simple and inexpensive way to buy a fixer-upper. VA and FHA loans originated by a home's previous owner are fully assumable without qualifying for a loan. However, you will pay an assumption fee. This is quite a benefit if the interest rate on the existing loan is relatively low. Otherwise, it might be better for you to apply for a conventional loan. You will be required to complete an application to apply for a conventional loan for your real estate purchase. A mortgage broker can help you search the available loan options to identify the best one for you. Lenders offering conventional loans may impose requirements that other financing sources do not. For example, a down payment may be required, a higher interest rate may be imposed and you may be required to prove that a certain percentage of the down payment is your own money rather than a gift from someone else. Can You Apply for a Home Loan That Is Larger Than the House Purchase? What Fees Are Included in a FHA Purchase? What Is a Mortgage Buyout?